https://i1.wp.com/www.bullmarketfrogs.com/wp-content/uploads/2013/07/patrick+the+miracle+dog+before+and+after.jpg?fit=654%2C368&ssl=1 368 654 Carol http://www.bullmarketfrogs.com/wp-content/uploads/2015/06/bullmarket-logo.png Carol2013-07-31 15:31:302013-07-31 16:22:31Are high profile abused dogs a 'brand'? Are high profile abused dogs a "brand"? 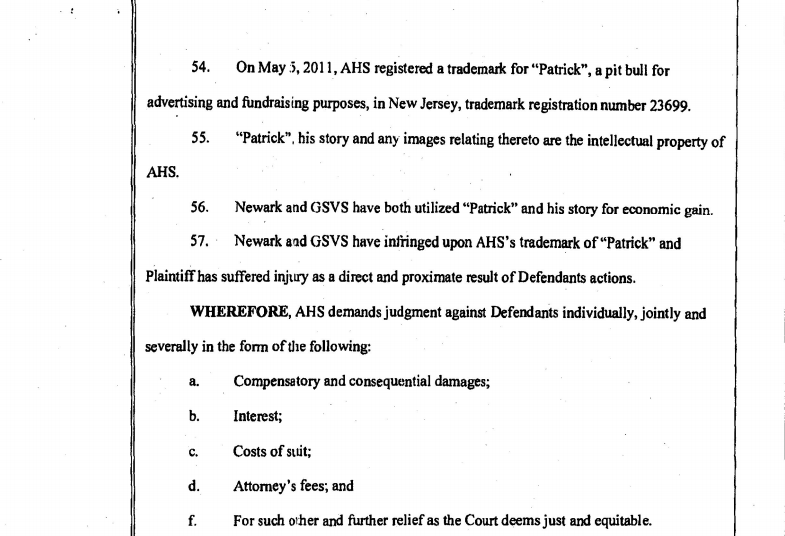 The fight over Patrick the Miracle Dog. I am disgusted by their greed and total disregard for this dog’s best interests. It’s in the dog best interests to be part of a family, in a loving home. If the judge has any reason he will rule against these greedy jerks. Are they in this for the money or to help animals? Obviously they could care less about the animals. The money they are spending in legal fees to sue the veterinarians that nursed him back to health should be being used to benefit the other animals that need help. They disgust me. Carol, the last two links aren't live for me. This isn't the first time that something like this has happened, and the dog is the spoils of the warfare. Wasn't there some sort of custody battle over that morbidly obese dachshund? And in England someone gave up two elderly dogs that had been featured in a movie. The shelter that took them in made sure to exploit their fame, as if it had any significance at all. WP plug in for FB comments seems not to be playing nice with link placement. Patrick needs to stay in his home.. so sue me! Hmmm, there is a distinct smell of NAIA puppy millers on these comments. Sure, because nothing says “puppy mill” like someone expressing concern over where an abused dog gets to live out his life. I can’t even imagine a non profit being as clueless about public relations as AHS is. No cash cow Patrick is going to make up for the poor publicity they have gotten from this. Justice for Patrick should not include them or their popcorn zoo. sadly arent there other dogs that they could use for this cause?..the more i learn about HSUS the less i like about them:(…now I am curious who benefited from the M. Vick dogs? Sad, isn't it JG…a responsible breeder who welcomes visitors to her facility and does breed rescue yet attracts all the usual humanewatch suspects. Krista Prater Piles , HSUS has nothing to do with this case. It is not affiliated with local humane societies. Poor dog. Stop playing politics with the dog and return it to where it is wanted and will get love. How cruel that he is being used as a pawn, for heavens sake put his interests first.